The worst maritime disaster in American history, one that could have been easily prevented, is comprehensively recounted in this briskly paced narrative. On April 27, 1865, the Sultana, a Mississippi River side-wheel steamboat, exploded just north of Memphis on the Mississippi River. The boat, which had a capacity of 376, was carrying over 2,000 passengers, most of them Union soldiers recently released from prisoner-of-war camps. 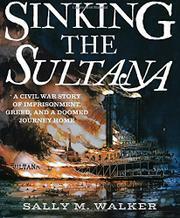 When the Sultana’s boilers exploded, passengers were bombarded with red-hot iron fragments, burned by scalding steam or fire, and flung overboard into the cold, churning Mississippi River. Despite rescue efforts, over 1,500 lives were lost. The narrative focuses on five survivors. Walker chronicles their experiences in battle and as prisoners of the Confederates, their ordeals in the disaster and rescue, and what became of them after. She also discusses the official investigation into the disaster. The cause of the explosion was a damaged boiler that had not been properly repaired. Bribery was responsible for the gross overcrowding aboard the Sultana, but no one was ever held responsible or punished. In addition to archival illustrative material, Walker makes extensive use of primary sources, such as diaries and newspaper reports, although it is surprising more use is not made of the survivors’ recollections Chester Berry collected and published in 1892.